Do you believe there is an underlying biomechanical issue, which could be causing your pain? 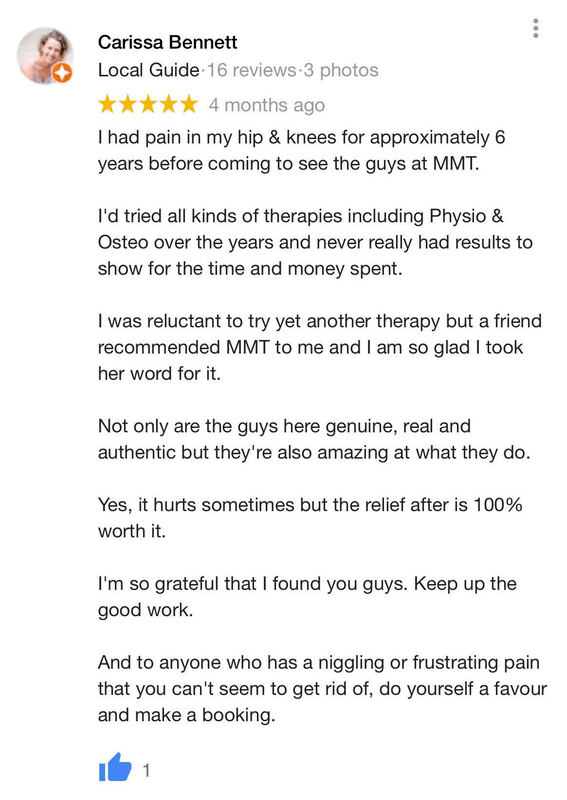 Do you need a practitioner that is capable of investigating the exact cause of your pain rather than just treating the symptom? Our practitioners are highly skilled at investigating the exact underlying cause of your pain. In some cases, a more clinical approach to treatment is needed to ascertain areas of tightness/restriction, areas of weakness, postural asymmetries, biomechanical dysfunction, and general compression. 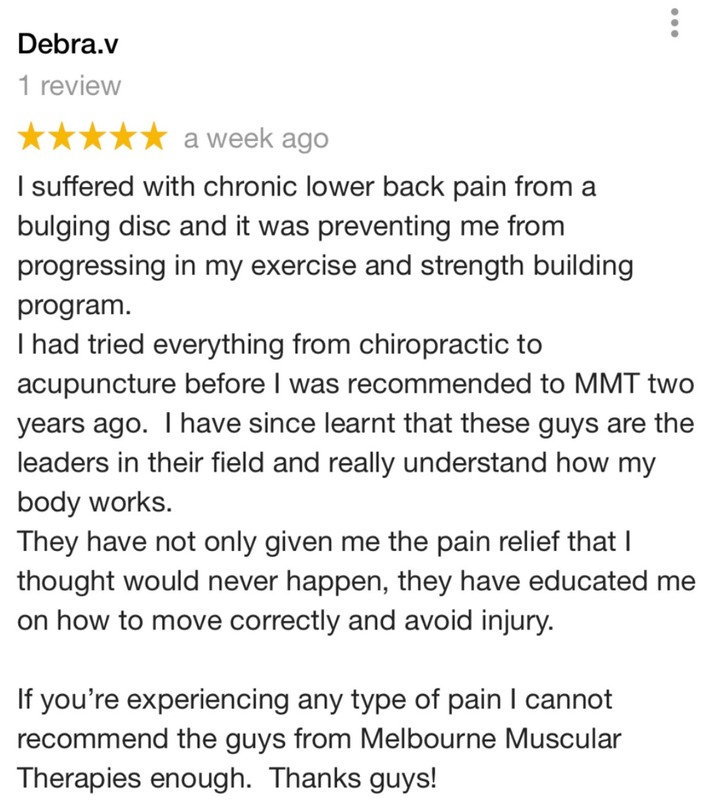 Your practitioner at Melbourne Muscular Therapies will assess your posture, gait mechanics (walking/running), and also put you through a number of other movement screening tests. Following a thorough assessment and discussion, a tailored treatment protocol and strength program will be developed in order to relieve and ultimately eliminate your pain. 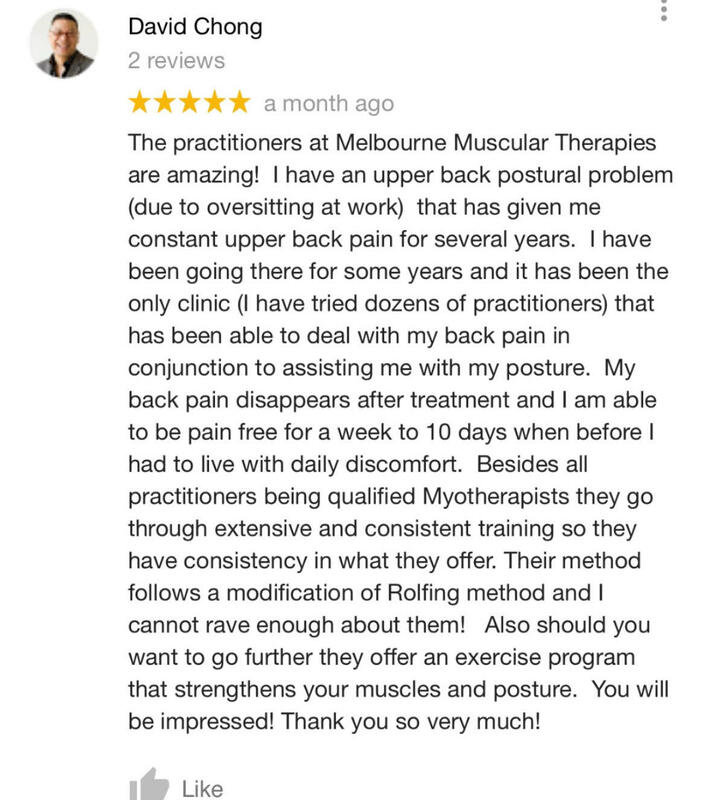 Practitioners at Melbourne Muscular Therapies have the skills and technical knowledge in order to deliver you an amazing Myotherapy service.